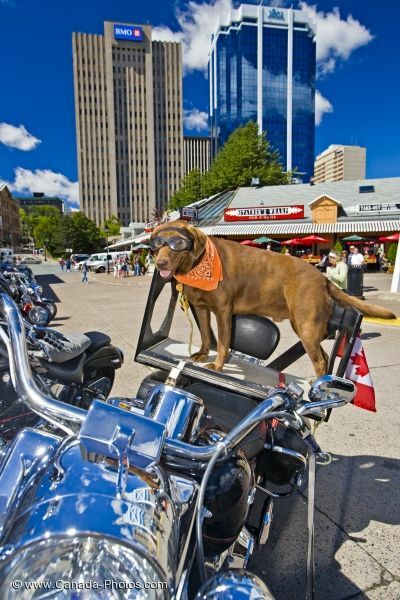 A chocolate lab dog standing on the back of a motorcycle in the downtown area of Halifax, Nova Scotia as the skyscrapers rise into the blue sky. This dog is used to riding around town on the back of a motorcycle and he is always ready to continue on down the road. Picture of a motorcycle dog in downtown Halifax in Nova Scotia with the skyscrapers towering above.